The library of Dragon Ball video games is an extensive one, and with the release of Super Dragon Ball Heroes: World Mission it’s only getting bigger. Some are far better than others though, so we’re here to rank the top 15 best Dragon Ball video games to date. Note that this list only includes Dragon Ball games that received official localizations. As a result, titles that were only playable in the west via emulation haven’t been included. Trading card games are nothing new to the Dragon Ball franchise, and more often than not they don’t land with the fan base. 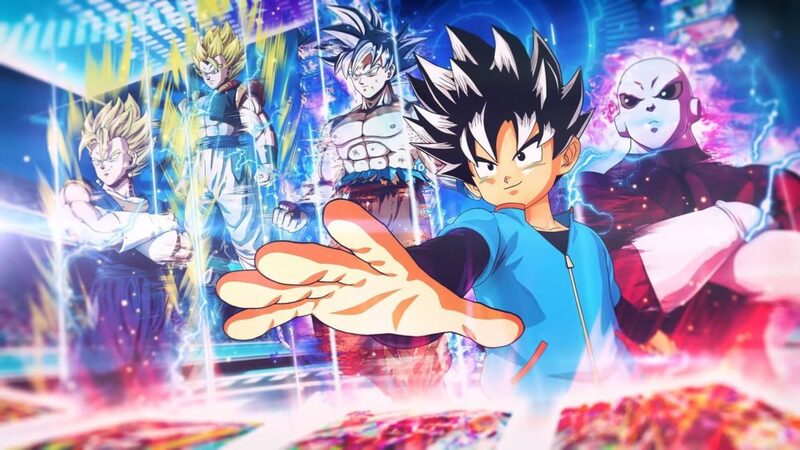 That makes it all the more exciting that Super Dragon Ball Heroes: World Mission manages to provide a great experience that’s fun for fans of both the Dragon Ball universe and trading card games. As an original character enlisted to help save the Dragon Ball universe from a new threat, players must construct a deck from cards based on thousands of different dragon ball characters and attacks from across the series and its spin-offs. As such, there’s a huge amount of depth for Dragon Ball fans. There is almost an endless number of combinations and strategies to test out, and the game takes on an air of a fanfiction brought to life in the best way possible. Admittedly, there are some issues with the game. Having originally been an arcade title, the graphics aren’t spectacular and some of the tactile input doesn’t carry over as well as it could. Overall though, it’s a fine addition to the roster of Dragon Ball games and a new benchmark for TCG titles tied to the property. 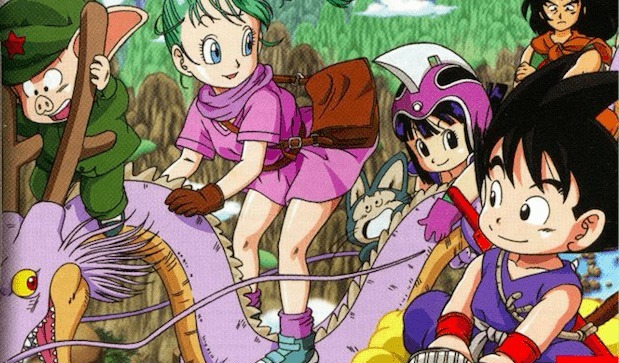 Marking the property’s handheld titles’ first jump to 3D, Dragon Ball Origins offers an innovative and charming take on the series’ first arc that still carries through today. Adapting Dragon Ball’s story up to Goku’s first World Tournament, the top-down action game allows players to guide the musclebound monkey boy through his earliest adventures. This includes his first meetings with Bulma, Yamaha and several other key characters, all adapted in polygonal 3D cutscenes. Gameplay, meanwhile, utilizes the Nintendo DS’ hardware wonderfully. For every segment that sees players mashing the attack button, there are just as many that utilize the mic and touchpad for special attacks, puzzles and more. 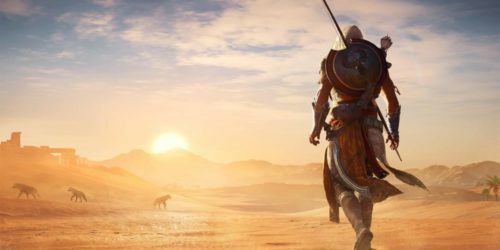 It isn’t without downsides – namely that it adapts a fairly small part of the series and the graphics haven’t aged well since its release – but it’s still a standout title for its ambition and execution. 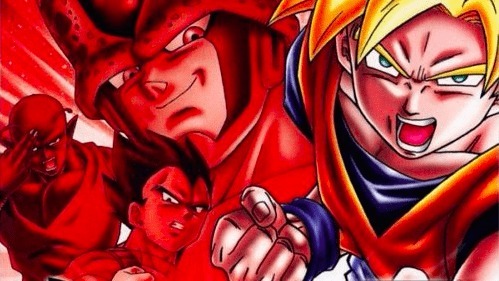 Though it may have once been the best-known line of Dragon Ball games out there, the Dragon Ball Z: Budokai series only accomplished the feat thanks to how good the first entry was. 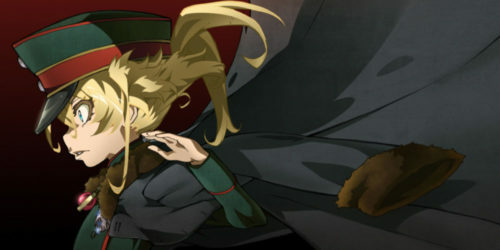 Featuring fully rendered 3D cutscenes that retold the first three arcs of Z, the game featured a deceptively deep combat system. Like Mortal Combat, knowing how to string combos together was key to victory and allowed players to pull off lightning-fast combos on par with something fans had seen in the show. Admittedly, this did mean the game had a high difficulty curve and could lead to moments of frustration when an enemy demands split-second button inputs. 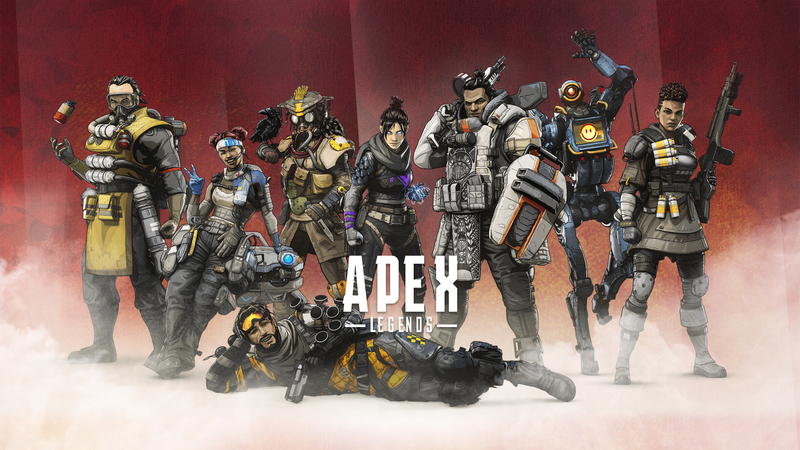 And yet, at its core, the game remained a faithful homage to the series fans couldn’t wait to play, giving the franchise’s video game support a shot in the arm they’re still feeling the effects of today. Though the jury’s still out on how good the upcoming Dragon Ball action RPG will be, Dragon Ball Z: Attack of the Saiyans is proof that the series can translate to an enjoyable role-playing experience. 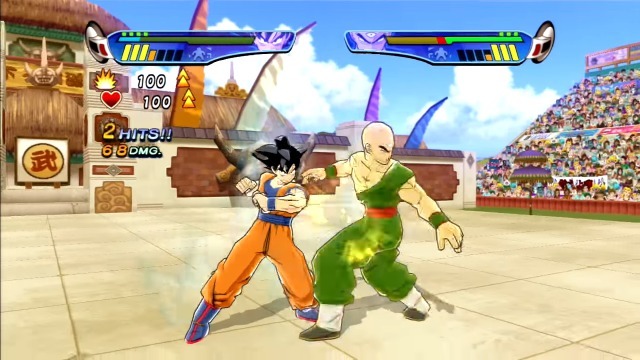 Taking place from the last arc of Dragon Ball through to the end of the Saiyan Saga in Dragon Ball Z, the game puts players in control of the Z Fighters as they battle their way through a variety of quests and challenges. This includes taking down Piccolo Jr., gathering the Dragon Balls by defeating a myriad of monsters and villains and making a last stand against the Saiyans when they arrive on Earth. It’s all presented through a turn-based RPG design that, while susceptible to the usual flaws of grinding and frequent randomized battles, manages to capture the spirit of the series thanks to the great presentation of its iconic attacks and techniques. 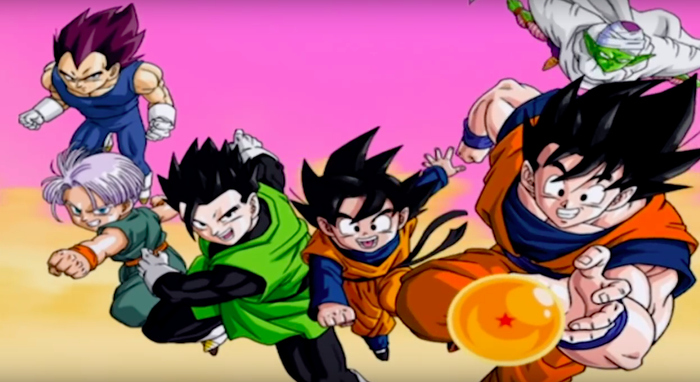 It was a novel take on the series, and while it might not have caught on well enough to see any sequels, it did give fans hope that there were still other genres Dragon Ball could be adapted to. No one could have expected Dragon Ball Xenoverse to be as good as it was, but that’s what made it so fun when fans realized what they were in for. Taking the usual Dragon Ball storyline and putting a “muddled by time travel shenanigans” slant on it, Xenoverse tasks players to go back and correct the timeline by assisting the Z Fighters in their fights as an original character in arena fighting combat. 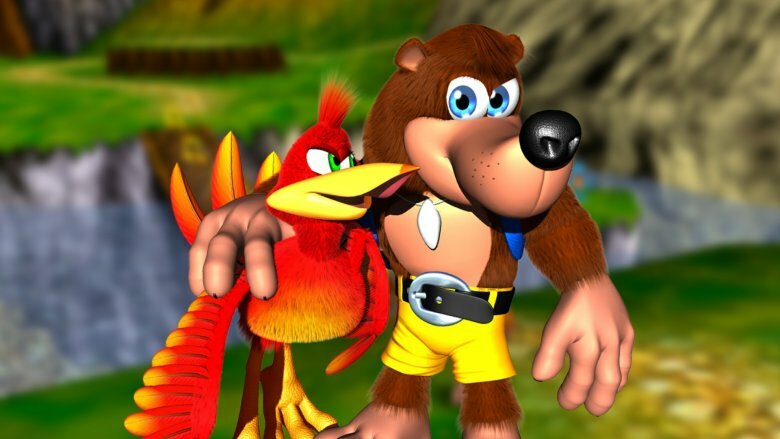 In addition to allowing fans to bring their original characters to life and play together with one another, this also meant giving them full access to an extensive library of techniques and abilities to choose from. Whether they wanted to be a beam-hurling Saiyan, a hard-hitting human or a jack-of-all-trades Namekian, players could do as they wished and experiment with new movesets on the fly. Being a new concept though, there were flaws. Several points in the main game saw huge difficulty spikes, acquiring specific skills could come down more to luck than actual skill or achievement, and combat could be exploited to win most any fight with ease. Even with these flaws though, it wowed the fandom like they hadn’t been in years, and renewed their hopes for what they would expect from Dragon Ball games in the years to come. 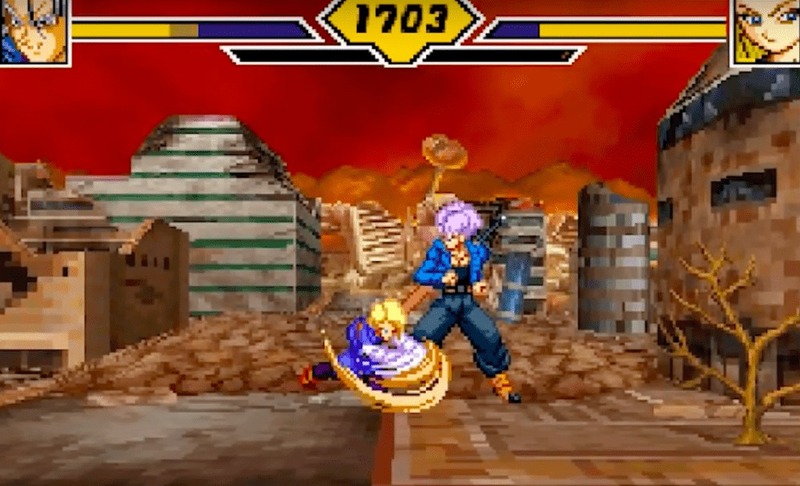 “What if” is the driving force behind Dragon Ball: Raging Blast 2, an arena fighter that reveled in letting players act out some of their wildest match-ups between Dragon Ball Z characters. From the Z Fighters to iconic villains like Frieza and Cell, the game had the usual array of fighters fans had come to be expected. Each boasted gorgeously animated moves and attacks and playing as them felt like watching one of their fights from the show in action. In addition to them though, the game also included and gave the same treatment to every other character from Z. Cooler and Bojack? Unlockable and playable. Cooler’s minions and members of the Frieza Force? Yep, they’re along for the ride too. This isn’t even counting the “What-if” versions of characters relegated to fan fiction and discussion forums, namely Broly and Vegeta’s Super Saiyan 3 forms, which allowed fans to further play out their wildest fight fantasies. The only real downside was that combat was fairly shallow. Once you’d figured out one character’s combo set, you could grasp any character’s, stripping away the challenge that would have put the game over the top. All the same, it remains a beloved example of a game that lets its players run wild and gives fans more than enough of what they could want. 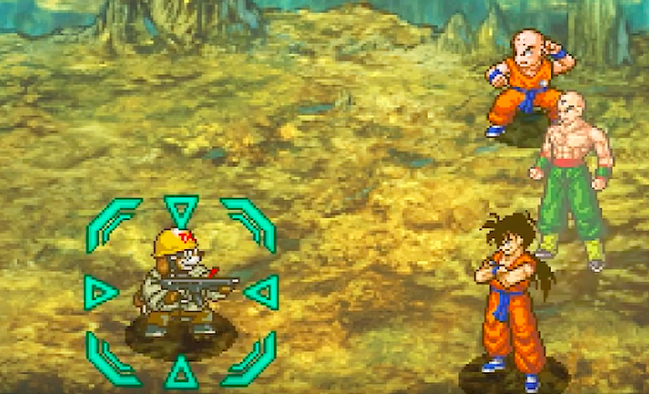 The Gameboy Advance was no stranger to great Dragon Ball games, and Dragon Ball: Advanced Adventure is a shining example of this. Allowing players to guide Goku through his adventures up to his battle with King Piccolo, this side-scrolling title nails a classic gameplay style that meshes perfectly with the old school aesthetic of the series’ early days. 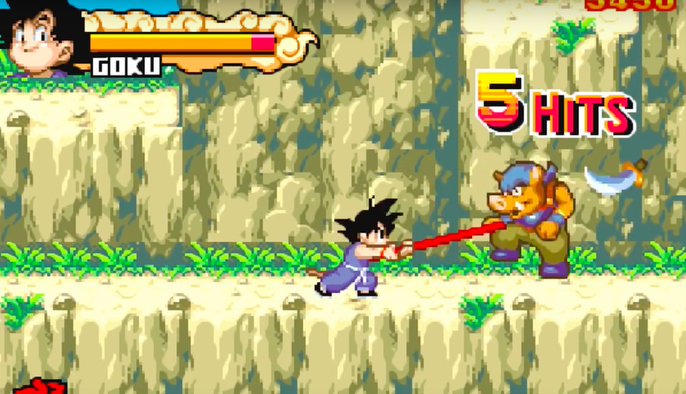 The character models for Goku, his friends, and his enemies are all recreated in gorgeous 2D graphics, with silky smooth animation that keeps the gameplay lively level after level. To be sure, the combat is a bit simple and repetitive, but the game keeps things fresh with a wide array of enemies and environments for players to make their way through. It’s a gem of a game, and it’s little surprise fans of the series still speak highly of it to this day. To put it nicely, Dragon Ball Z: Legacy of Goku was a highly flawed game. That’s why Legacy of Goku 2 stands out all the more for how much better it is in comparison. 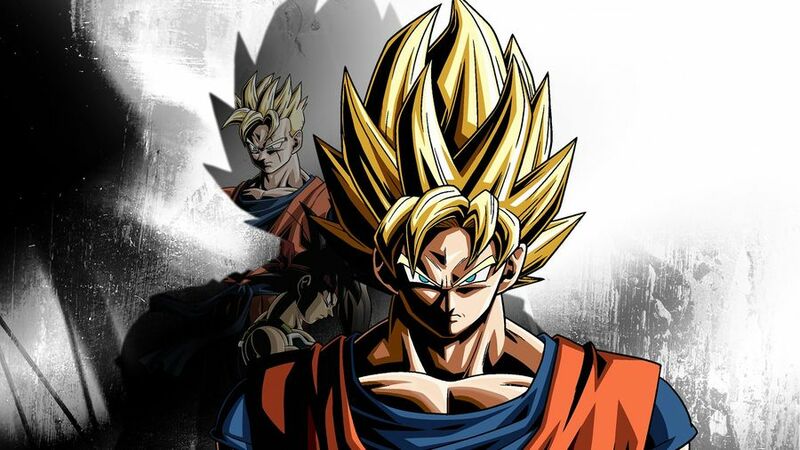 Adapting the Android and Cell sagas, the game allows players to dive into the role of five of the Z Fighters for a 2D action RPG experience much in line with the first game. Unlike the first game though, most everything has been overhauled to make the experience as enjoyable as possible. The art is more vibrant and lively, with perfectly recaptured environments and set pieces from the series. Enemies recoil and fly back from punches, objects rattle and crumble from the characters’ attacks and 16-bit synth tunes accompany the player’s adventures perfectly. The limited scope of what the game covered as well as some playtime padded by grinding did bring down the experience some, but overall it was a fitting step forward for the Legacy of Goku series that would pave the way for an exception conclusion. After the success of Dragon Ball Xenoverse, expectations were high for Xenoverse 2. Fortunately, it proved itself to be a worthwhile sequel with plenty of innovations and improvements… eventually. In the years since its release, Xenoverse 2’s gameplay has been tweaked and overhauled with updates, DLC and other features to make it a far better experience. 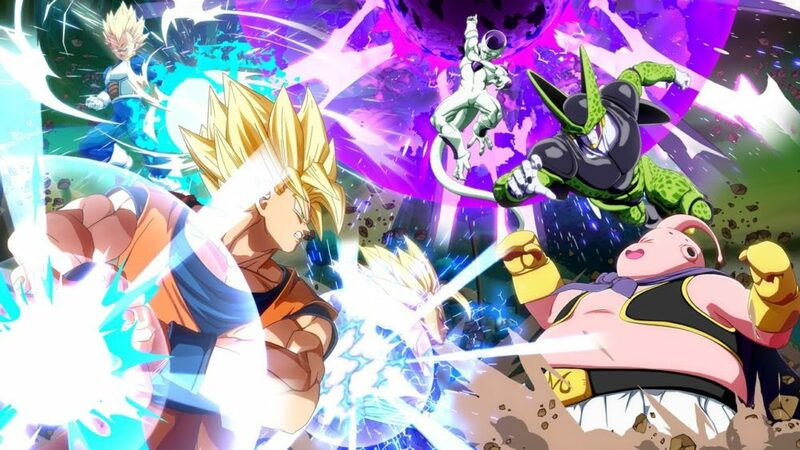 Not only that, but the multiplayer has been enhanced as well, helping the title stand out as not only a great sequel but a phenomenal multiplayer Dragon Ball game fans continue to flock to. 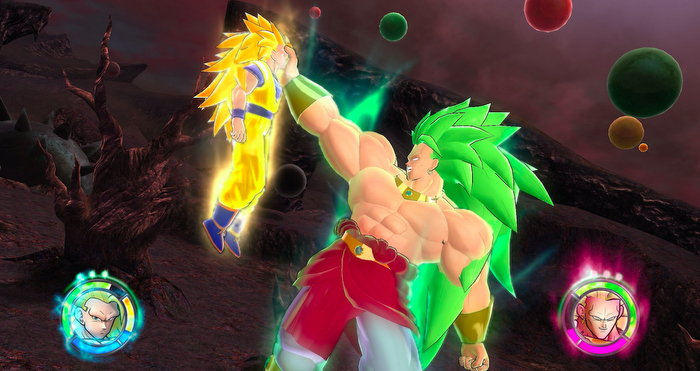 This is all in addition to the improvements it already had on Xenoverse, such as a deeper combat system and streamlined process for acquiring new items and abilities. It’s still not perfect, and fans have a lot of hopes for Xenoverse 3 to be better. As it stands now though, it’s the ideal Xenoverse experience for fans new and old to dive into. Few Dragon Ball games nail the frenetic speed and energy of the series the way Supersonic Warriors 2 does. Whereas the first game was limited by its hardware, Supersonic Warriors 2 had plenty of breathing room thanks to the Nintendo DS. 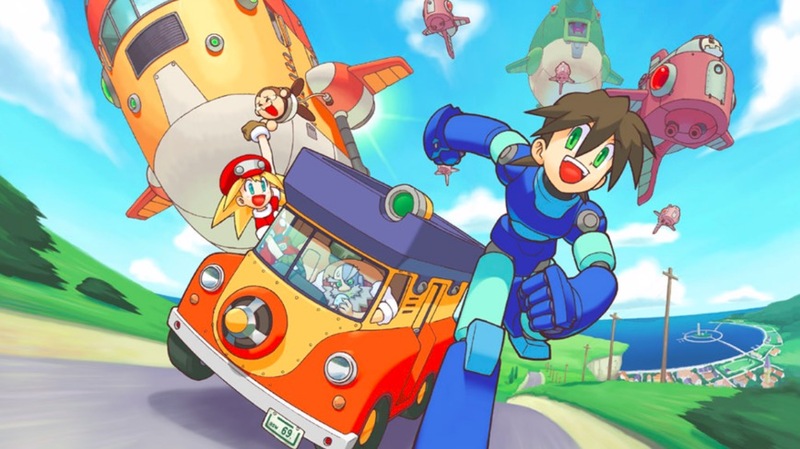 It used every inch of this too, presenting players with a frantic, flight-based fighter jam-packed with homages to the series. 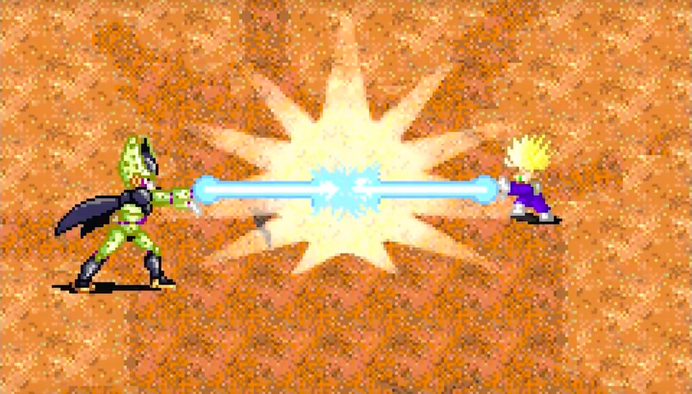 From Goku and Vegeta to the Androids and Buu, the game recaptures their fighting styles and move sets perfectly, allowing players to zoom to and fro across the screen unleashing attacks and techniques at a breakneck pace. It also incorporated team-based attacks that brought fights up to another level. Fanfic-esque techniques like Trunks and Vegeta’s Father-Son Galick Gun were made a reality, and were given plenty of spectacle in their execution besides. 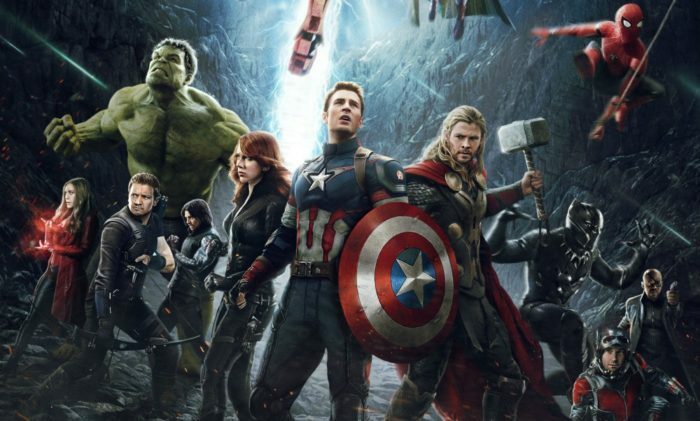 The only real downside was that was it was fairly short even with a bevy of “What if” scenarios, making fans wish all the more a modern sequel will see the light of day. Sure, Raging Blast 2 might have boasted an expansive roster of characters for fans to play as, but Dragon Ball Z: Budokai Tenkaichi 3 still stands as the king in terms of sheer size. Featuring 98 characters from across Dragon Ball, Dragon Ball Z and Dragon Ball GT, with 161 forms between them besides, the roster of fighters available to build teams of fighters out of in this arena brawler is mind-boggling. Granted, this means characters and their moves blur together the more of them players see, and the gameplay is kept simple and exploitable to a pretty laughable degree. At the same time though, it’s fun enough that these rarely become deal-breaking flaws. Fans could act out most any fight they came up with. A team of OG Saiyans could take on Frieza and his forces. Dragon Ball side characters like Nam could cross fists with Cell. Anything was possible, and it led to many a fun play session. The game encouraged this too, offering some of the most memorable “What if” scenarios to date (looking at you, Devilman vs. Frieza). It’s the definition of a fun Dragon Ball game and remains a must-play for fans even more than a decade after release. 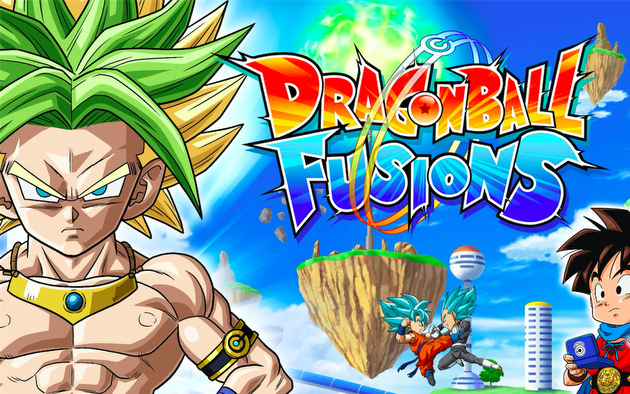 Fusing characters has long been a favorite topic among fans, but Dragon Ball Fusions takes the concept and makes a phenomenal experience out of them. As an original character, players travel across the Dragon Ball universe to gather an unbeatable team of Z Warriors both new and old. 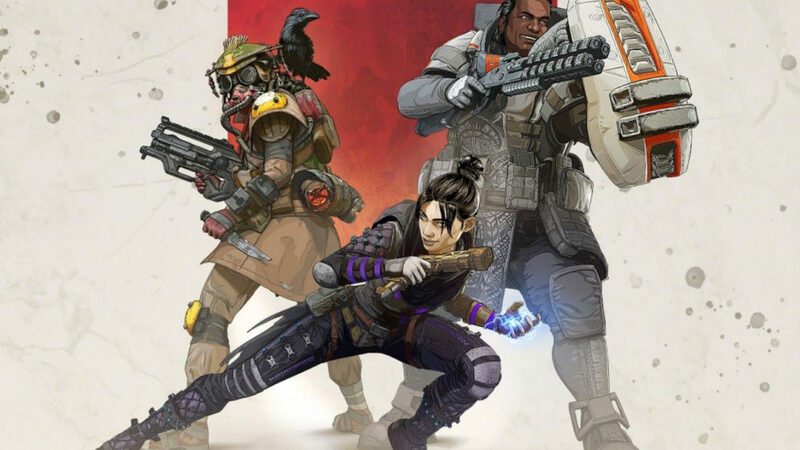 Each has their own strengths and weaknesses, and they lend these to team-based brawls between the player and their foes. This all culminates in the game’s namesake feature: Each and every character can fuse with each other, with up to five fusing at once. Each fusion form has their own design based on who fuses and is privy to a wide array of special abilities. This leaves players with a metric ton of options and character combinations to test out, on top of the already deep well of options granted by building up a party as they see fit. It’s a terrific concept and one which desperately needs to be carried over into more games through some current-gen sequels. 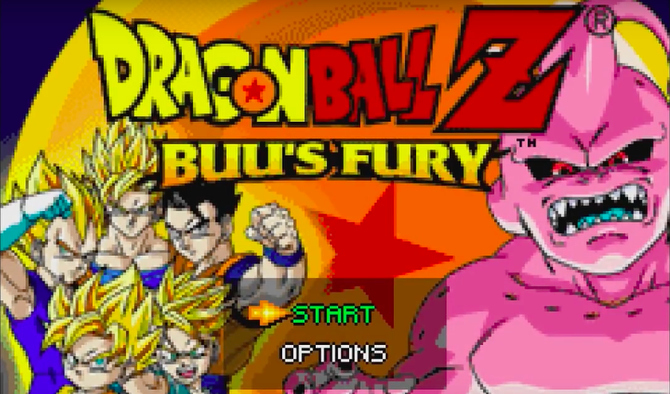 To put it simply, Dragon Ball Z: Buu’s Fury is the culmination of both the Legacy of Goku series and handheld Dragon Ball games. Perfectly recreating the Majin Buu arc while also honing every element of the Legacy of Goku title to a fever pitch, Buu’s Fury is 2D action RPG bliss. Combat is responsive and addictive, leveling up is paced well enough that players never have to grind for long and each character has their own move sets and abilities that make them feel unique. Likewise, the artwork is almost always gorgeous, accompanied by synth tunes that bring the game to life and make it feel like the show is playing out in real time. To be fair, There are still points in the game that feel padded – less by grinding and more by fetch quests – but they’re a small price to pay to experience a handheld Dragon Ball game at their most entertaining. 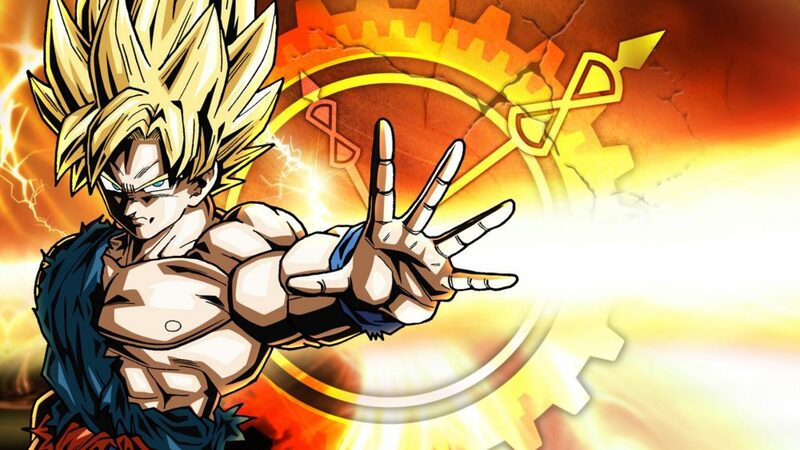 There’s a good reason Dragon Ball Z: Budokai 3 stood as the pinnacle of Dragon Ball games for over a decade. Packed with lovingly crafted characters from across Dragon Ball Z and GT, the fighting game is a love letter to fans in all the right ways. Each character’s forms is designed to an intricate degree, with their moves and animations honed to the smallest detail. This is all conveyed in the game’s presentation as well. From the stages and their transitions to the visceral feel of Rush attacks, the game nails the energy and character of the series, allowing players to lose themselves in a world of Dragon Ball bliss. Likewise, the game is surprisingly deep and balanced, allowing fans to main most any character as they wish. Sure, GT characters like Super Saiyan 4 Goku or Omega Shenron are strong, but a skillful Yamaha player can still take them down with enough skill. It’s a phenomenal title, and even with one game outranking it as the best, it’s still just as fun to go back to all these years later. Dragon Ball FighterZ is the pinnacle of Dragon Ball video games. Developed by Arc System Works, the game balances itself between being a Dragon Ball game and a legitimate fighting game better than anything that has come before it. Even as characters are dashing, smashing and blasting their way across the screen, the game’s mechanics allow skilled players to react accordingly and unleash blocks and counter-attacks at a breakneck pace. As such, matches play out like the fastest, most intense battles from the show. This results in high stakes matches that, while fun enough on their own to play, are just as fun to watch. On top of this, the game also introduces characters from Dragon Ball Super as well as Android 21, a new original character that has gained a strong foothold with fans despite a less than stellar story mode tied to her and her origins. It’s the be-all end-all of Dragon Ball video games, and will likely remain that way for a long time yet.